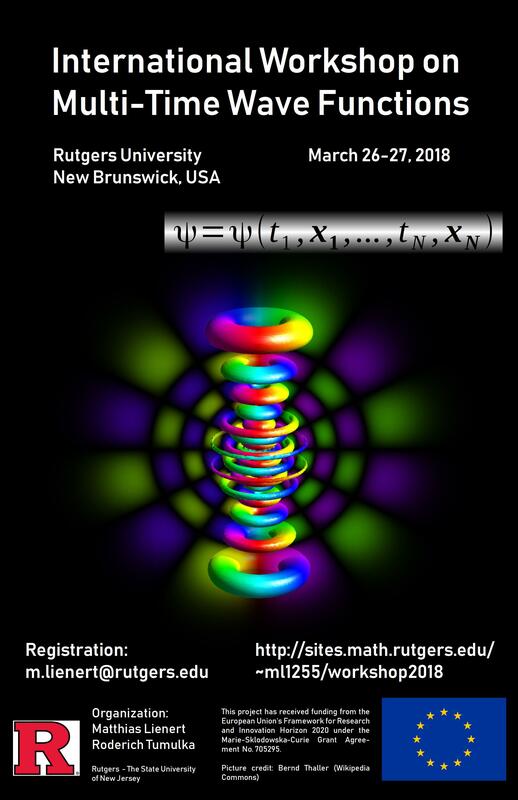 Currently, I am a postdoc and visiting researcher at the Rutgers Department of Mathematics from June 2016 - May 2018, within the scope of a Marie Curie Global Individual Fellowship of the European Union, hosted by Sheldon Goldstein at Rutgers as well as Stefan Teufel and Roderich Tumulka at the University of Tübingen. 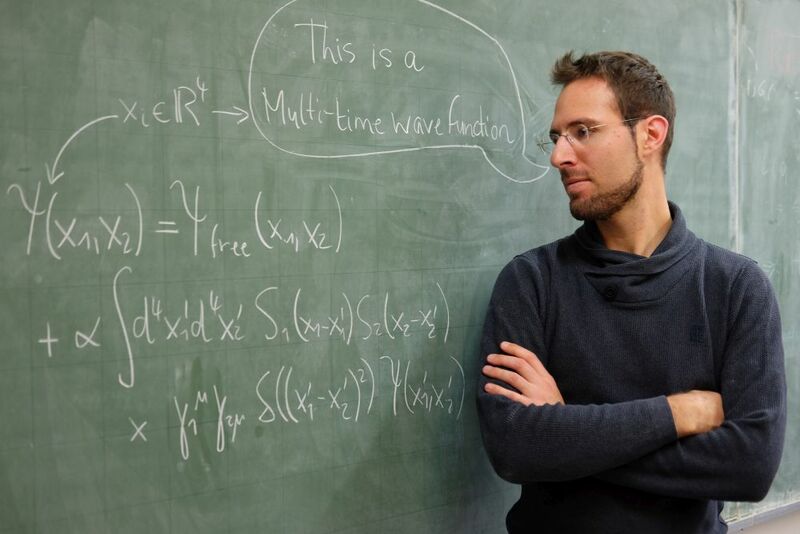 My main research topic are multi-time wave functions (quantum-mechanical wave functions with many space-time arguments), in particular to consider integral equations as time evolution equations for these wave functions (see "Current Research Project"). I obtained my PhD in Mathematics at the University of Munich in Detlef Dürr's group, my Master in Theoretical Physics at the University of Cambridge and my Bachelor in Physics at the University of Göttingen. Visit the workshop webpage now! In this project, integral equations shall be studied as a possible mechanism of interaction for multi-time wave functions. (One possibility for two electromagnetically interacting Dirac particles is shown in the photo at the top.) In this case, the multi-time evolution equations take an action-at-a-distance form with fields extracted solely from the respective other particle's degrees of freedom. This leads to the hope that one might thereby avoid the self-interaction problem in a similar way as in the Wheeler-Feynman formulation of classical electrodynamics. to study the classical limit and compare it with Wheeler-Feynman-Electrodynamics. Fall Semester 2017: Organization of "Work in Progress Seminar in Mathematical Physics"
Spring Semester 2017: Organization of "Work in Progress Seminar in Mathematical Physics"
Fall Semester 2016: Organization of "Work in Progress Seminar in Mathematical Physics"